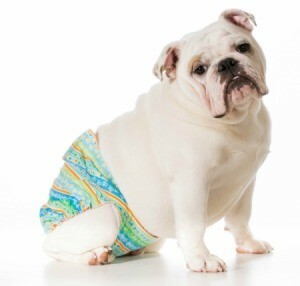 It is normal for a dog in heat to pee frequently, including spotting. She is leaving a calling card to attract male dogs. This behavior usually stops with the end of her cycle. This is a guide about a dog in heat peeing a lot. My 7 month old English Mastiff has her period (about 1 week now ) today I noticed she keeps peeing, a lot. What could be her issue? More frequent urination happens when a dog is in heat. The urine smells stronger to attract male dogs. You will want to keep your dog on a leash and watch her carefully at all times when you go out. It is normal. It will stop with her normal cycle. That is normal, its how a female dogs body works.